Most people wouldn’t embark on a long journey without a plan. It’s unusual to start something potentially costly and time-consuming without seeking some advice and taking the appropriate instruction beforehand. Still, many small business owners neglect to talk to a financial advisor or are reluctant to do so when they are starting a new business. According to the American College, 60% of business owners who responded in their study said that they had not met with a financial advisor. Few of them had developed a plan that would address future changes that might affect the business. A financial advisor has the experience and expertise to help you make the most of your initial capital investment into the business. He or she can help you assess the viability of your business model and outline strategies and timelines for your path to profitability. Here are some of the ways a financial advisor can ensure, accelerate, and improve your business success. Whatever product or service your new business provides, a financial advisor can ask the right questions and find the right answers to make your life easier. They will also be able to make your business more efficient and more profitable by focusing on the actions that will get results. As a small business owner, you will be expected to perform many roles. At times, you will be acting as the virtual head of many departments, from marketing to product development to IT support. You might also find yourself responsible for packaging, deliveries, direct customer service, and property maintenance. In some circumstances, such as managing and planning your business finances, it’s best to hire professional help. Your finances are not to be taken lightly. Many things can go wrong in a business from a financial perspective. Mismanaging money, cash flow problems, delayed or over paid vendor accounts cause many new businesses to close. You can consult a financial advisor to make sure that your business is not one of them. A financial advisor can quickly provide accurate projections that will help you establish and then grow your business. The objective, professional observations of a financial advisor is invaluable at every stage of business growth, but perhaps never more so than in the early months. 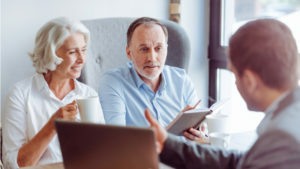 An advisor can provide you with timely insights regarding such factors as your exposure to risk, where you can economize, and investment opportunities. By pointing out opportunities, a financial advisor can help you develop and improve your business plan. He or she will have the know-how to help you make the most of circumstances that you don’t yet have the experience to spot. Money is the lifeblood of any business. It flows in and it flows out. It’s crucial to think about your business processes and money in advance to maximize your business success. Who better to discuss money matters and the success of your business with than your financial advisor? One of the best things about taking the help of a financial advisor, is that it allows you to take control of your business’s path. Unless you are already a financial expert, hiring a financial advisor will save you time and money. When you spend time performing functions that are not among your core abilities, you deny your business this expertise. By working with a financial advisor, however, you can receive expert help with your business’s finances. Complex tasks can be taken care of quickly and you can make important financial decisions from a position of strength. For example, a financial advisor can use his or her experience to establish internal accounting processes for monitoring expenses. Learning through experience can be one of the best ways to learn a lesson. Not every small business owner needs to go through bankruptcy, however, to learn the best ways to handle their finances. A financial advisor can help you avoid costly mistakes, saving you the pain of going through painful and unnecessary rites of passage. When thinking about the future of your business, it’s easy to be affected by emotion. You might be excited, afraid or overwhelmed. A financial advisor, however, can provide you with the cool perspective that is required for dealing with matters of money. A financial advisor can provide you with some much-needed clarity, focusing your vision and helping you to take your business in the right direction for stability and growth. To grow, a business requires an objective, a plan to get there, and tactics to make it happen. Your financial advisor comes with a variety of tools that he or she can put to work for your business’s future. A financial advisor may help you and your team to face facts and assess the true likelihood of you achieving your goals on schedule. Your advisor might help you navigate the problem of a congested marketplace by exploiting or developing a niche market. You need not only good ideas to run a business, but the ability to back them up in financial terms. Too few business owners consider future changes to markets, technology, and other circumstances when planning and projecting the future of a business. For example, the American College discovered that many small business owners fail to make provisions for how to transfer a business to someone else when they retire. This oversight is costly for many businesses and yours needn’t be among them when you benefit from the proper advice. 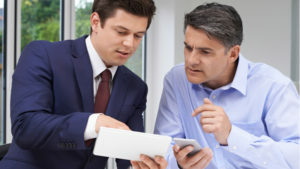 The opinion of an experienced financial advisor can help a business, and the business owner(s), weather market disruptions, such as new competition or tighter regulatory requirements. If you are wondering whether or not to diversify your product or service, your financial advisor can help you to decide if and when this is a wise idea. Many business owners are motivated to start and build their businesses for the potential future personal financial gains it may afford. Due to the consuming nature of starting a business, it is not uncommon for an owner to solely focus on their business finances and neglect their own personal finances. A seasoned financial advisor you can help ensure that your personal finances will be in good order along with your business finances. The two need to be coordinated for cash flow, investment and tax purposes. Your financial advisor will also often act as a quarterback between your other professional advisors such as your accountant, business attorney, bookkeeper, insurance broker and estate attorney. These professionals play an important role in your business and personal life and ensuring proper communication and coordination will be critical to your long-term success. 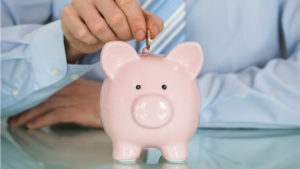 Many business owners avoid hiring a financial advisor in an attempt to reduce costs. This is a very clear false economy. Hiring a financial advisor to help with specific tasks can not only save you time and money, but it can change the course of your business, avoiding risks that are not worthwhile and making the most of otherwise hidden opportunities. When exploring new territory, it’s good to have an experienced traveler on board. The right financial advisor will not only help you navigate unknown territory, but they will allow you freedom and confidence to focus on the core aspects of your business. Through our holistic financial planning approach, we create a plan that encompasses all aspects of your business finances and outlines the steps required to meet your short and long term goals. This plan becomes the blueprint upon which we build your portfolio. This process tends to reduce financial stress so you can have more balance and enjoyment in your life, and helps you gain control, clarity, and confidence with regards to your financial decisions. We derive great satisfaction out of the fact that our clients are able to have an increased ability to focus on their family, career, or hobbies because they know that we are overseeing the finances and planning. 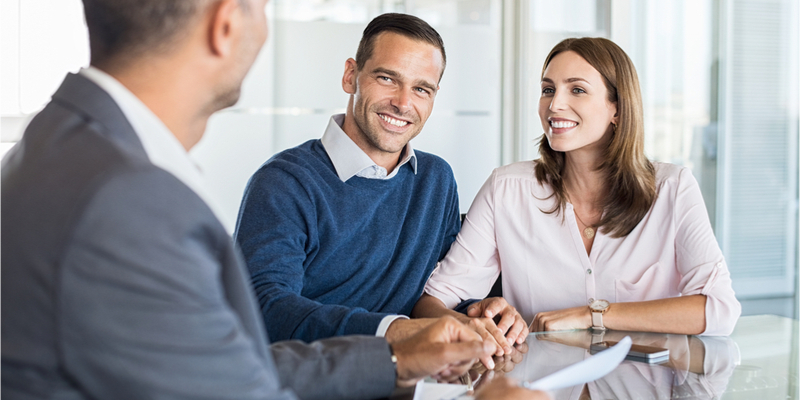 To learn more about our financial planning or business planning services, download this PDF: Financial Planning Services, or contact us using the form below for a free consult with an advisor.